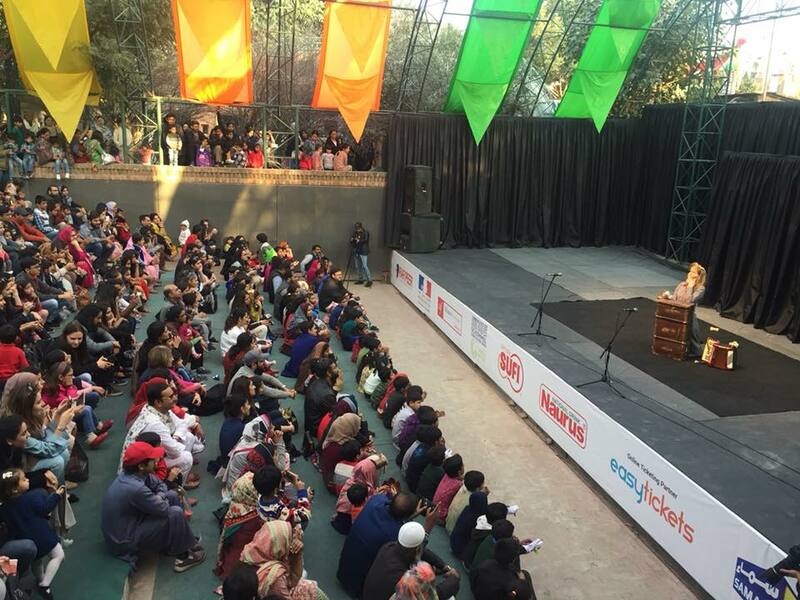 We, in collaboration with Rafi Peer Theatre Workshop, had organised “Der Wortschatz” (Letters) – a theatre performance for children 6+ by Mirjam Ellenbroek during the International Puppet Festival 2018 from January 18-21, 2018 at the Rafi Peer Cultural Centre, Lahore. „Der Wortschatz (Letters)“ is a performance for children from the age of six, with a double mask and letters made of sponge material. The story is about a king and his daughter who try to communicate through letters& words, but fail. As some parts of the play are German and some translated directly to English,the subject of language and misunderstandings gain another level.